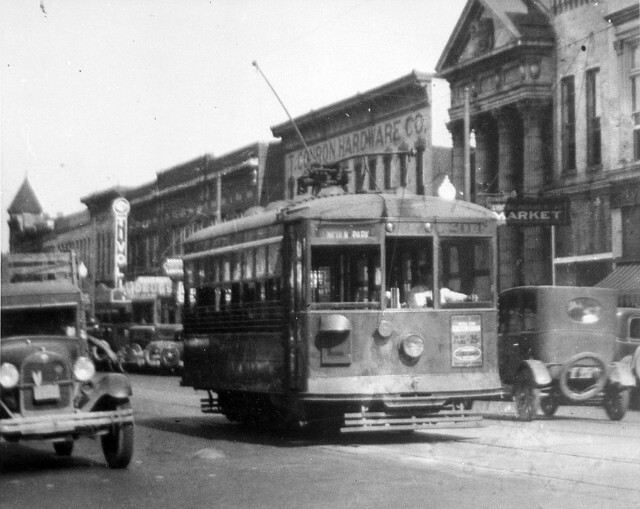 Two Birney cars in downtown Danville. The top photo depicts car 204 on the L Lincoln Park line. 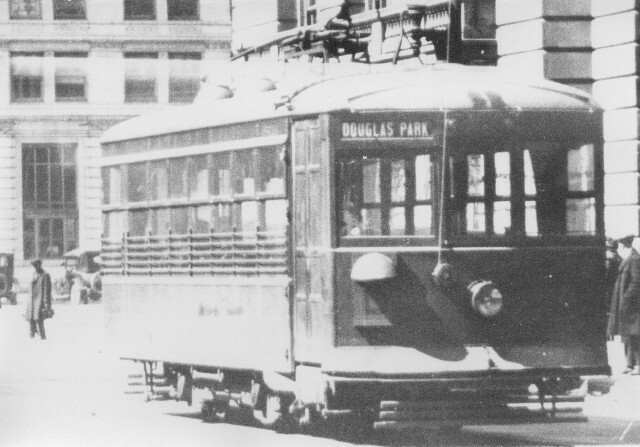 The second picture shows a Birney signed for the D Douglas Park line. Notice that there are two route signs: the standard roll sign above the right front vestibule window, and the single-letter route sign on the front dash with a light mounted above it.